In a decision that could have implications for two controversial Connecticut unions, a divided U.S. Supreme Court ruled Monday in favor of Illinois home care workers who objected to paying fees to a union representing them. The case had been closely watched by people in Connecticut involved in unions that represent home care workers and day care providers — units formed under circumstances similar to those in Illinois. The Connecticut unions represent workers who are paid with funds from state programs. But the workers are considered to be employed by the people they serve — people with disabilities, seniors or parents of children in day care. 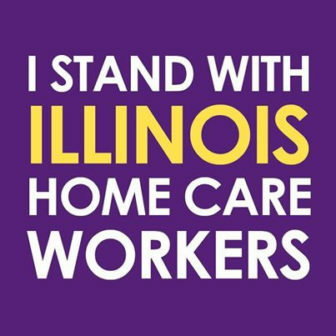 Writing for the majority in the 5-4 decision, Justice Samuel Alito said that the First Amendment prohibited the Illinois home care workers from being required to pay fees to the union. While a 1977 ruling allows public-sector unions to collect money from all workers they represent, Alito wrote that the home care workers are not covered under that precedent because they are not full-fledged public employees. It was not immediately clear what concrete effect the ruling will have in Connecticut. Attorney General George Jepsen, Gov. Dannel P. Malloy, representatives of the unions and critics of the unionization efforts said they’re still determining what the decision would mean here. Even so, opponents of the unions cheered the ruling as vindication for workers’ freedom while supporters expressed concern about what it could mean for employees and people who want to receive care at home instead of in nursing homes. Jepsen said in a statement that the court’s ruling was narrow in scope but disappointing, and that his office is reviewing “what effect, if any” it will have on Connecticut home care workers. The conservative Yankee Institute for Public Policy, meanwhile, issued a statement saying the ruling “effectively invalidates” Malloy’s executive orders and a subsequent state law that gave the workers collective bargaining rights. “Vindicating the First Amendment’s guarantee of freedom of association, the Supreme Court made two facts crystal clear: Home health care workers work for their elderly or disabled patients — not the state — and private homes are not union shops,” Carol Platt Liebau, the group’s president, said. The Yankee Institute backed lawsuits that challenged the executive orders that led to the unions. Will Monday’s ruling change how the unions handle fees? SEIU 1199 New England, which represents the Connecticut home care workers, has not yet started collecting fees since its first contract was only recently finalized, spokeswoman Jennifer Schneider said. Ben Phillips, a spokesman for CSEA-SEIU Local 2001, which represents the day care providers, said it’s too early to say. He said the union is still evaluating whether the ruling affects Connecticut or the day care workers’ union. The Illinois case, Harris v. Quinn, was filed by women who provide home care to people covered by Medicaid. In 2003, then-Gov. Rod Blagojevich issued an executive order calling for the state to recognize a union of home-care workers. The Illinois legislature later codified the move in law. The union SEIU Healthcare Illinois & Indiana was designated as the workers’ exclusive representative for collective bargaining, and entered agreements with the state that require people covered by the union to pay “fair share” dues — fees that cover the cost of collective bargaining, administering the contract and addressing grievances. Home care workers pay the union more than $3.6 million in fees each year, Alito wrote. The workers who sued argued that the state violated their right to freedom of association by requiring home care workers who serve Medicaid recipients to accept a union as their exclusive representative and pay it fees. Their lawsuit asked the court to overturn or limit a 1977 U.S. Supreme Court ruling, Abood v. Detroit Board of Education, that allowed for unions to serve as exclusive representatives for public sector workers and collect fees. Some observers believed the court could overturn the Abood case, dealing a blow to public-sector unions. Alito raised questions about the Abood decision, but took a narrower position, ruling that the workers in Illinois aren’t full-fledged public employees, and therefore aren’t subject to the requirements established under the Abood case. Alito noted that Illinois law specifies that the home care workers are only public employees for purposes of collective bargaining. Because the Abood case doesn’t apply, Alito wrote, requiring workers to pay the union fee would only be allowed if it served a compelling state interest that can’t be achieved through less restrictive means. And, he added, the state failed to show that was the case. “If we accepted Illinois’ argument, we would approve an unprecedented violation of the bedrock principle that, except perhaps in the rarest of circumstances, no person in this county may be compelled to subsidize speech by a third party that he or she does not wish to support,” Alito wrote. The poster published on the SEIU District 1199 New England Faceabook page. The unionization of home care and day care workers in Connecticut has been hotly contested. Malloy and supporters of unionization argued it was a necessary way to improve wages, benefits, standards and working conditions to ensure a stable workforce, particularly at a time when the state’s senior population is rising and more people are expected to receive care outside of nursing homes. But some workers and people who receive home care objected. Some workers objected to having to pay into a union. And some people who receive home care expressed concern that since the amount of money each person receives for care is capped, increasing worker wages could mean fewer hours of services, potentially making it difficult to remain outside a nursing home. Opponents challenged Malloy’s executive orders in court, although they were not successful. Meanwhile, the two unions negotiated their first contracts with the state earlier this year. Both call for wage increases. Sen. Joe Markley, R-Southington, a longtime critic of Malloy’s executive orders and the unionization effort, said he hopes the ruling will mean that the workers will be able to decide whether they want to join the union or not, and won’t have to pay dues. Markley said he’s curious to see what the unions will do next. Demand for home care workers soaring, but will there be enough takers?